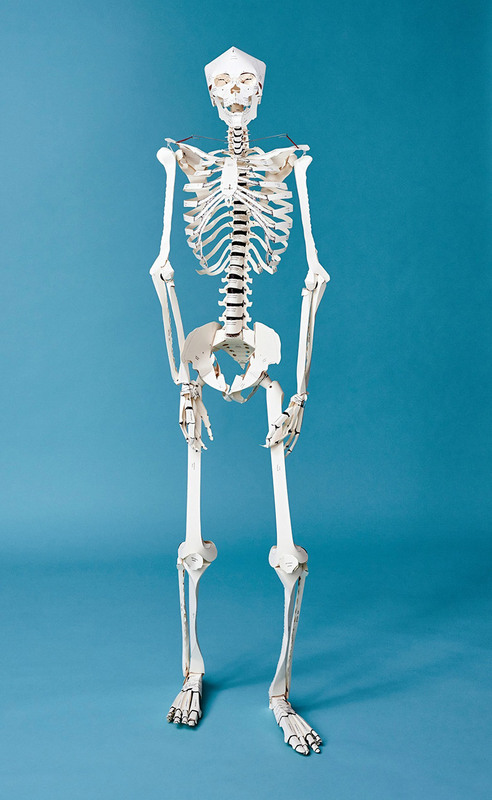 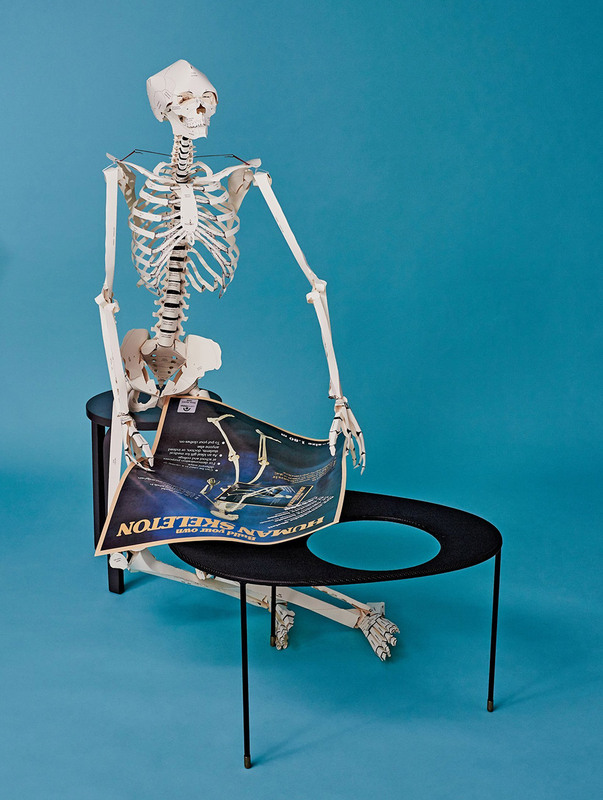 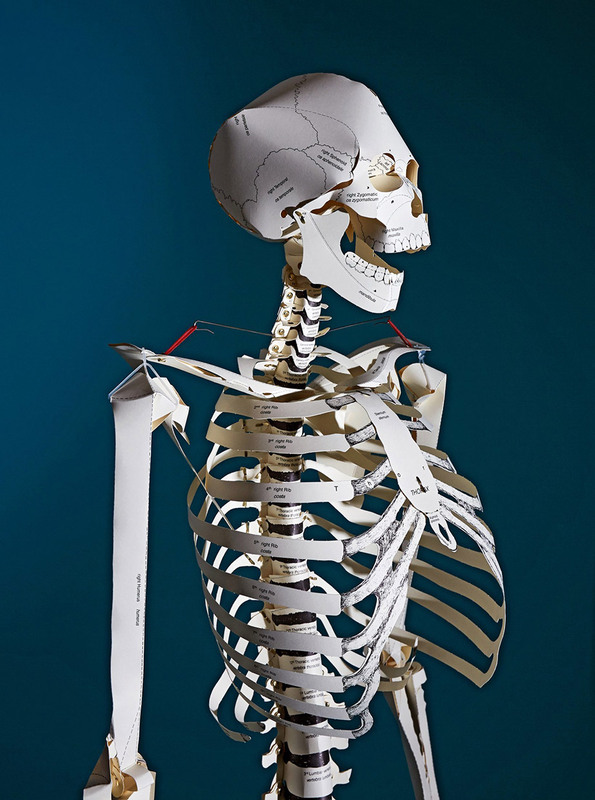 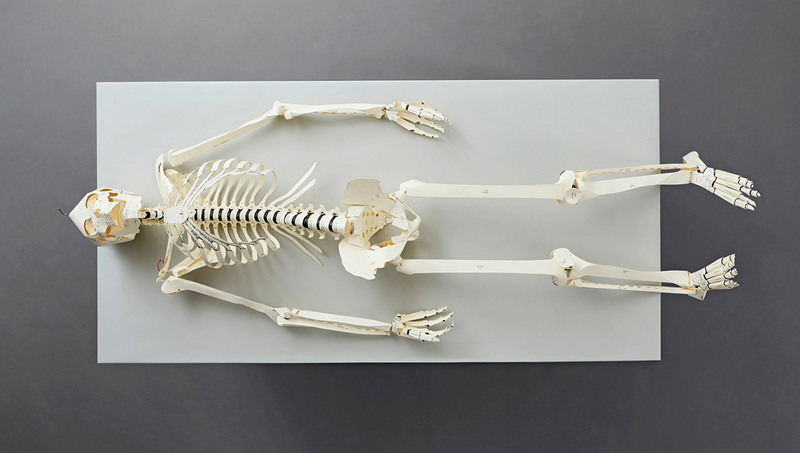 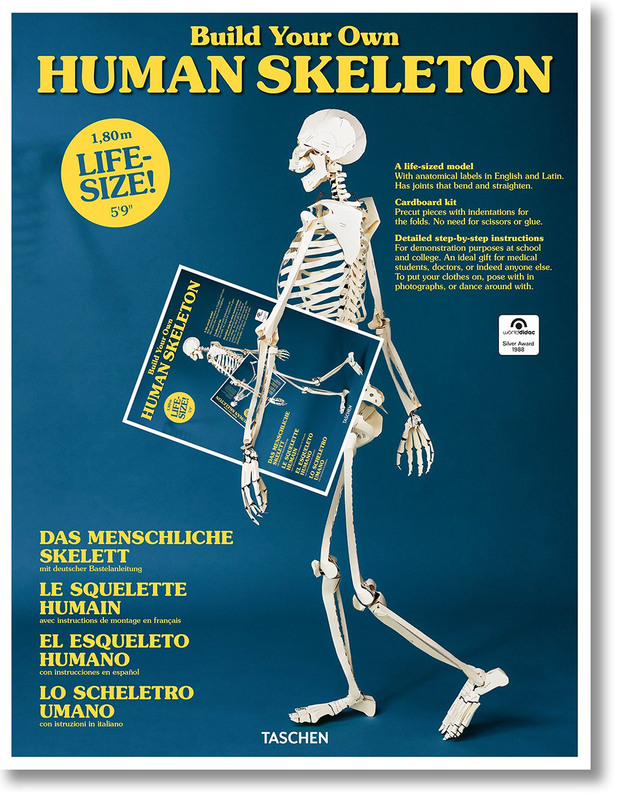 This amazing book from Taschen lets you construct a life-size (5’9″ tall) paper model of a human skeleton. 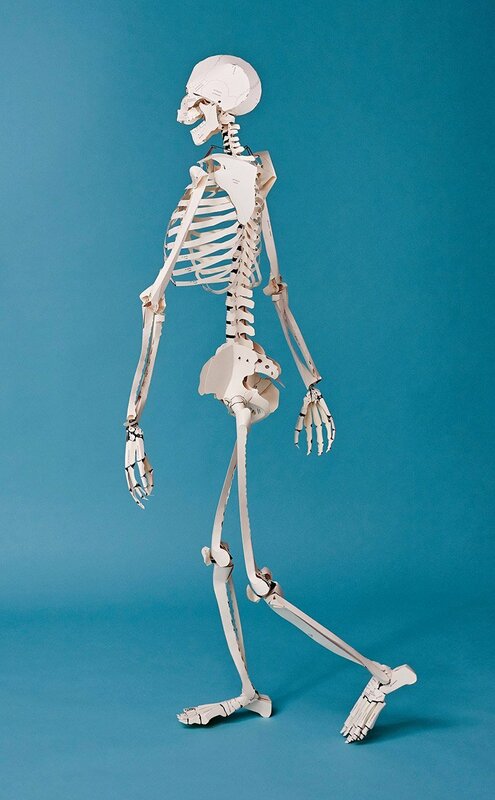 It has movable joints, and each bone is labeled with its English and Latin name. 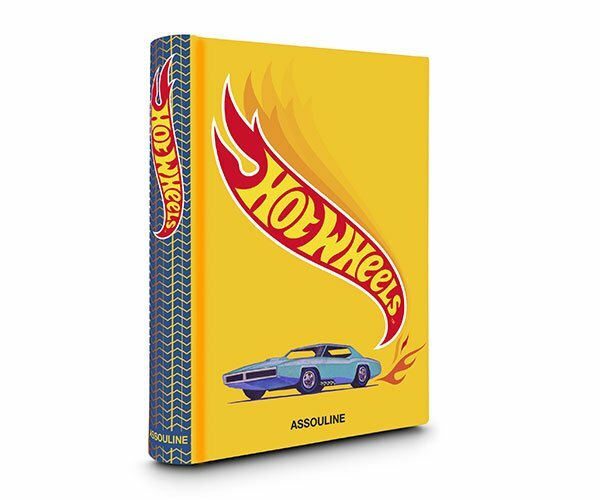 While we don’t have a release date yet, it’s available for pre-order from Amazon now.